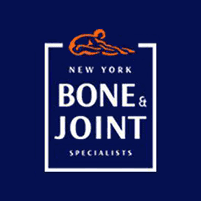 Back pain is one of the most common complaints from patients who turn to New York Bone & Joint Specialists for care. Dr. Michael Y. Mizhiritsky is widely regarded as one of the best back specialists in New York City, and is part of a team that practices in the Upper East Side and Midtown West neighborhoods of Manhattan. He’s helped hundreds find lasting relief from back pain. If you’d like to learn more about the latest back pain treatment options, schedule a consultation online or by phone. Dr. Mizhiritsky prefers to try conservative treatments for back pain, including physical therapy, targeted exercises, pain management, and other approaches. In some cases, however, surgery is the best treatment path to achieve lasting relief from back pain. There are many diagnostic tools available. Imaging technology including X-rays and magnetic resonance imaging (MRI) can provide information on spinal structural abnormalities. Another diagnostic approach called fluoroscopy introduces a special dye or contrast solution to the suspected site of pain, then uses an X-ray machine to capture pictures of the structures. Next, a solution of steroid medication and a local anesthetic is injected into targeted joints. You’re asked to communicate changes in your pain level, which helps your practitioner pinpoint the cause of discomfort. Electromyography (EMG) and nerve conduction studies can identify damaged nerve tissue. The EMG process uses electrodes to assess your muscle response, and nerve conduction uses electrodes to measure the speed of nerve signal transmission. What is sacroiliac joint dysfunction and how is it treated? Your sacroiliac (SI) joints connect your spine to your pelvis. There is little movement in these joints, but they do support the weight of your upper body when you’re standing. Because your sacroiliac joints are subject to daily stress, the cartilage within can wear down. Correcting the underlying issue often resolves sacroiliac joint dysfunction and relieves pain. Antibiotics, physical therapy, a period of rest, and anti-inflammatory medications are all possible treatment paths. What role do epidural steroid injections play in treating back pain? One of the most common causes of back pain is inflammation and compression of nerves within your epidural space. Epidural steroid injections deliver analgesic medications to the site of your pain, reducing swelling and easing compression of nerve tissues. There are numerous ways to administer these injections, and Dr. Mizhiritsky has the experience needed to choose the right approach for your specific needs. These injections can offer an effective means of pain relief while you complete a course of physical therapy. Some patients require ongoing epidural steroid injections as part of their long-term pain management plan. Book your consultation with Dr. Mizhiritsky by calling the NYC office or using the easy online scheduling tool.